Now I know it seems a bit out of place and not really keeping with the usual Well Driven test drives, but please bear with me, this isn’t your normal pick-up truck… This one is a little bit special! 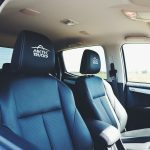 This is the Isuzu D-Max AT35 and the AT stands for Arctic Trucks – a small company that started out in Iceland modifying consumer trucks to make them capable of covering the treacherous tundras of the world. 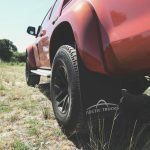 With a catalogue of options ranging from suspension lifts to gun mounts and everything in between, Arctic Trucks have a reputation for being the company that can help you drive just about anywhere on the planet. 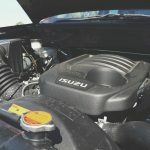 Due to changing times and also a bit of help from a famous TV car show, the brand has got a lot more attention over the years and now they have started producing cars directly for manufacturers including the likes of Isuzu and Toyota. The result is a beefed up, mud-friendy off-road truck that will out-do some of the most expensive SUVs for sale today. The first thing you notice when you try and get into the Isuzu D-Max AT35 is just how tall it is compared to just anything else you’ve ever driven. I’ve owned and driven man big SUVs over the years like Range Rovers and Discoverys and this thing absolutely dwarfs them. I’m not short, but I’m also not tall, as I sit pretty much in the “average height” bracket at 5ft 10, and even I had to use the old side-step mixed with the interior grab handle approach to get in. I would say it made me feel small and a bit child-like, but really I just felt like one of those Monster Truck drivers clambering into Bigfoot back in the 90’s. 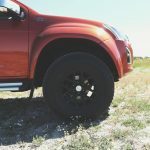 You see what has happened here is Isuzu have taken their beloved and well-rounded D-Max and then added fully adjustable and raised Fox Performance Suspension, widened arches and huge 35″ Nokian Rotiiva tyres to some 17×10 black wheels and the end result is menacing to say the least. Once you’ve completed your climb into the cabin of the D-Max, it’s just like any other modern truck. 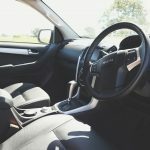 You have nice clean and pretty comfortable leather seats all around (with heated front seats for those chilly Arctic expeditions), an automatic 5-speed gearbox, and lots of rugged plastics and big buttons. It’s all still very utility but also nice enough for the family to pile into for that family trip to Centre Parcs – plus you have the added bonus of that enormous 148x153cm load bed behind you for bikes, bags, tents, the dog, a small 3-bedroom bungalow and your Nan. Mod-cons also include a 7″ Pioneer Sat Nav which supports Apple CarPlay, a surprisingly decent sound system and keyless entry with push-button stop/start. All of this is great but also expected in a truck these days, as you will get most of this as standard in just every SUV on the market. 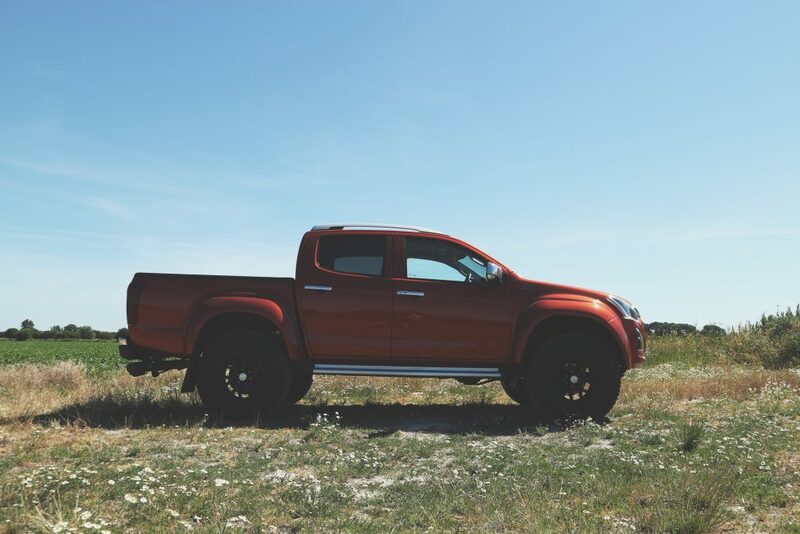 It’s the extra 55mm of ground clearance, Hill Descent Control and a 700mm wading depth that makes the AT35 stand out from the crowd…literally – this truck will go anywhere and everywhere. It takes a few miles of driving to get used to the combination of extra height and width in the ute as the wide arches mean everything sticks out a little bit more than I used to, especially coming from a lowered Mazda MX5, but after a while, it all becomes very familiar and my love for being high-up comes flooding back. You are pretty much at the same level as lorries and large vans you start to look down on Range Rovers and Porsche Cayennes like they are driving Smart cars. The overall feeling is one being a real-life king of the road as the huge tyres rumble and roll over the tarmac. So far, it’s all very pleasant. The 1.9 TurboDiesel engine feels a little bit underpowered for a truck of this size and compared to other current trucks as it only puts out around 165bhp and 265lb-ft of torque and it also has a very raw and agricultural sound but it does the job and after a week of driving around 600 miles, I averaged a healthy 30.2mpg. 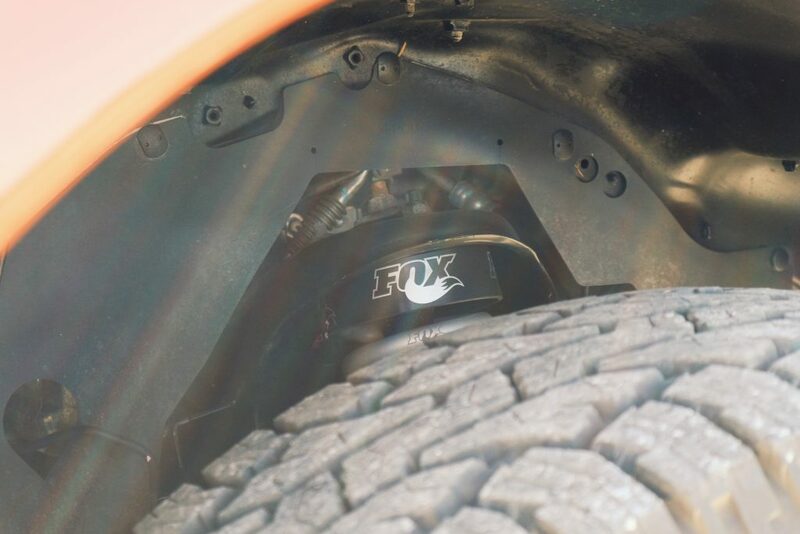 There was a small issue with the gearbox, especially when using the cruise control as it didn’t feel like it was set up correctly for the wheel and tyre combination and as a result, any kind of include resulted in it dropping down a gear or two to keep the momentum going. It’s amazing how quickly you climatise to the D-Max as if it’s just another car on the road and you almost forget how massive it is until you drive through town and kids start waving at you and adults start shaking their heads. I had one particular bum-clenching moment when two vans decided to park on the curb on either side of the road leaving a gap just about big enough for a normal car get through. I’ve had to navigate big cars through tight spaces before but this was beyond a joke. The only advantage I had at this point was height… Due to the suspension lift, my wing mirrors sat about 2 inches above those of either of the vans so I could quickly fold them in and out again narrowly get through without leaving some of the bright Venetian Red Mica paintwork on either van. There were other moments of brief panic on the road, mainly when facing oncoming tractors and trying to park in busy carparks, but overall I just loved driving this big red silly truck. You wouldn’t lose it anywhere. There really is no point in talking about the road performance of the AT35 as it’s as fast as you’d expect any 4-cylinder diesel truck to be, it’s steering is far from telepathic and the brakes are “spongey” to say the least, but that’s not what it’s about. It has the usual benefits of Electronic Stability Control, Anti-Lock Brakes and all the other acronyms as you would assume. It’s the muddier, wetter and slippier side of things that make it stand out. With optional 2WD, 4WD and 4WD Low-range, coupled with HDC and hill start assist, there are very few places this truck cannot go and due to that extra height, there are few other trucks that can follow it, and that really is what makes it that bit better. 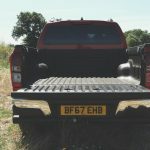 I know the new Range Rover and Land Rover Discovery have deeper wading depths and tonnes more technical assistance to get you out of trouble, but they also cost double what this truck costs. I recently drove a Mercedes G350 off-road and loved how old school and mechanical it felt compared to the new Land Rovers, and this has that same raw, agricultural feel but again, for a lot less money. This does, unfortunately, lead me to that topic of price. 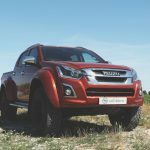 A standard double-cab D-Max will cost around £25,000 which already makes it quite expensive compared to others in its class. However, once you’ve added the AT35 kit, the special paint, the Arctic Truck logos all over the place and paid the initial on the road tax, this model as tested is a whopping £40,000. That’s is a heck of a lot of money for some bolt on arches and raised suspension… So, is it worth it? I honestly don’t think it really matters. 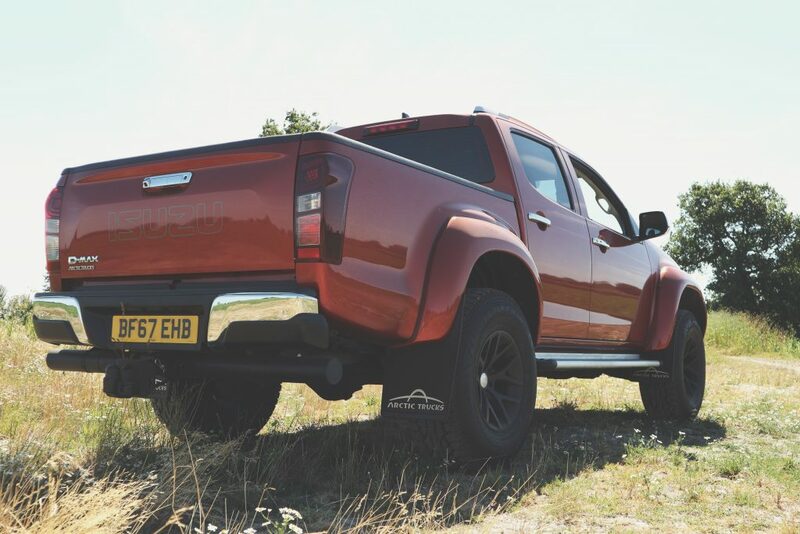 The AT35 is a showstopper of a truck, it shows the consumer what is possible with a standard £25k workhorse if you want to really push the boat out and most people will go for the similarly equipped but otherwise standard Utah and Blade models. The AT35 is really for those people who want to stand out from the crowd, make their presence known and most importantly, have a bit more fun. £500 per month will get you a very nice lease deal on a Land Rover or Audi SUV, but everyone has one of those – why not dare to be a bit different, even if it means having to park a mile away from the store. 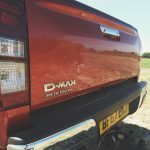 More information on the Isuzu D-Max AT35 can be found HERE along with information on all their other trucks and vehicles.